Here we have put together a selection of beautiful tiny homes, each one with an architect who appreciates that the vitality of a property comes from natural light, cleverly thought-out layouts and a flow from room to room. A stunning contemporary property from Eplans with window-walls at the front to fill the house with light. 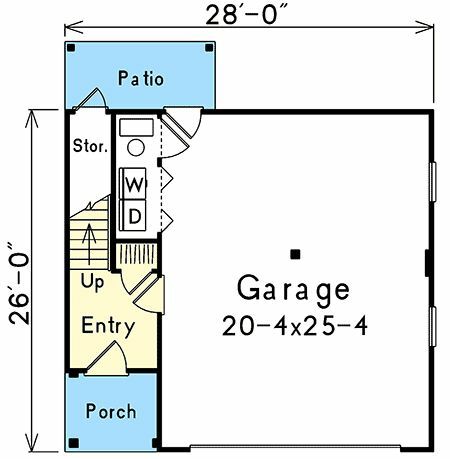 Measuring 817 square feet (76 square meters) enter to a foyer / hallway with access to the two double bedrooms with built-in closets at the rear of the property. 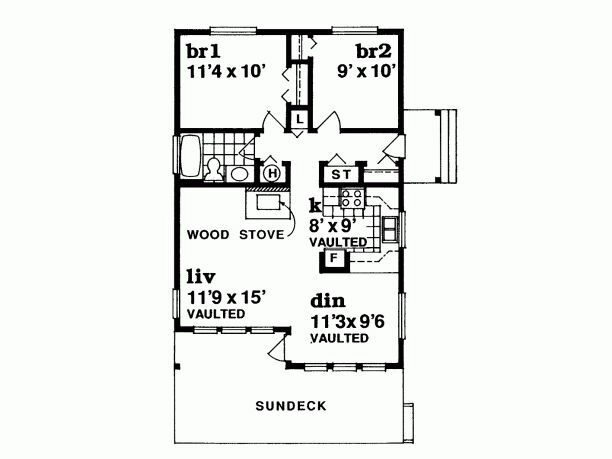 There is a shared full-size bathroom, as well as utility closets built-in. An open-plan living, dining, and kitchen space looks out over the view and the sundeck. 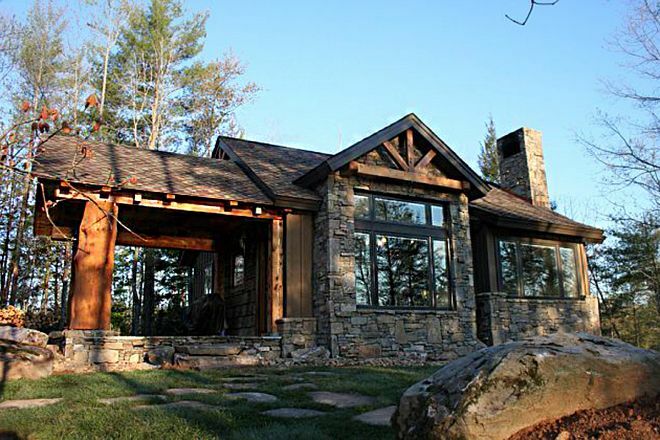 A beautiful home from Architectural Designs, coming in at 681 square feet (63 square meters). A generous patio area leads to an open-plan kitchen, dining, and living area past the entrance. The front wall of the property is almost solid windows, with the side wall hosting a fireplace. At the rear, two double bedrooms each enjoy an ensuite bathroom. 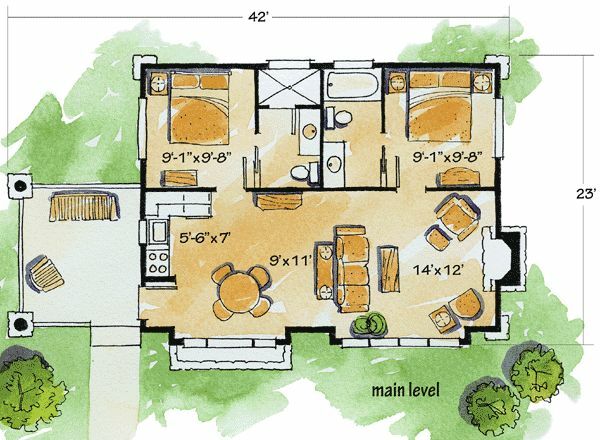 A lovely house from Eplans measuring in at 864 square feet (80 square meters). 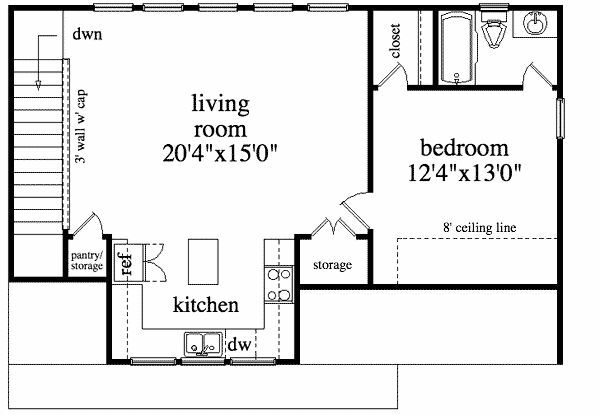 Ideal for a couple or small family, two double bedrooms with built-in closets share a full-size bathroom. An open-plan living, dining, and kitchen area look out over a large terrace, with a focal fireplace inside for rainy days. 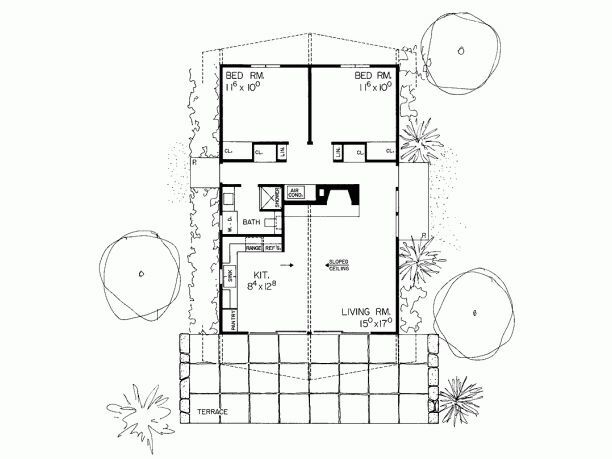 A delightful property from Architectural Designs, coming in at 699 square feet (65 square meters). 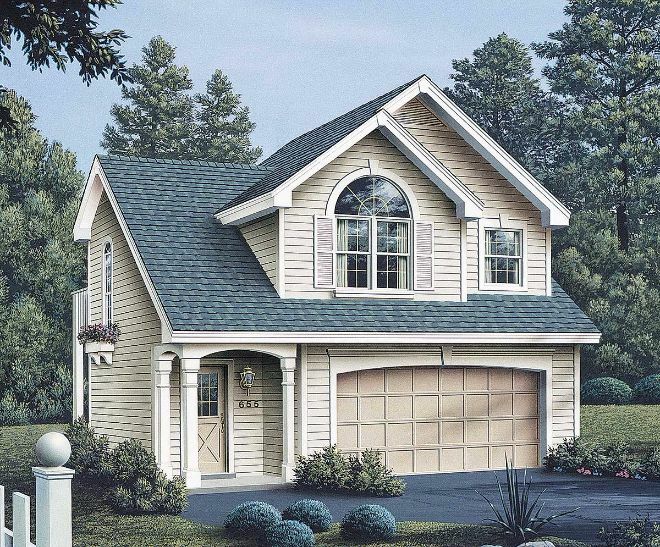 The ground floor is chock-full of extra storage, with three car bays providing lots of space. Upstairs, an open-plan living and kitchen area boasts a wall of windows, as well as built-in storage closets and a pantry. The double bedroom has private access to the full bathroom and a walk-in closet. 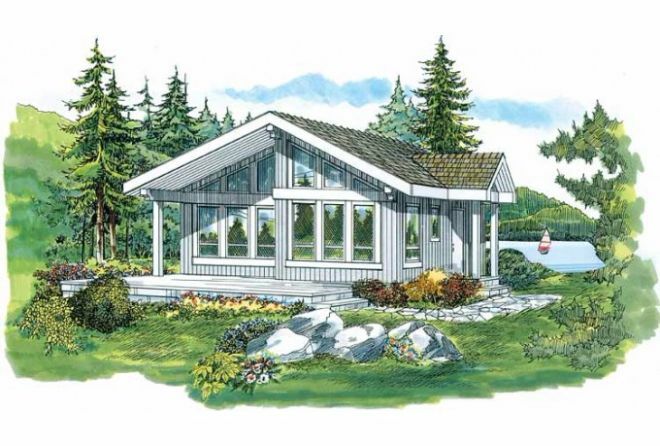 This multi-purpose building from Homeplans is highly practical and comes in at 913 square feet (85 square meters). 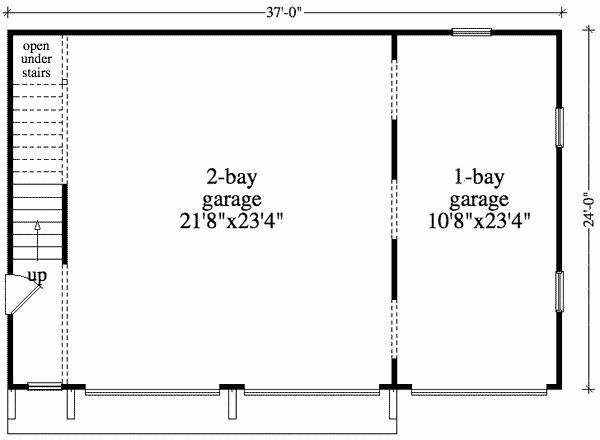 Downstairs, the RV garage occupies one side of the property entirely. 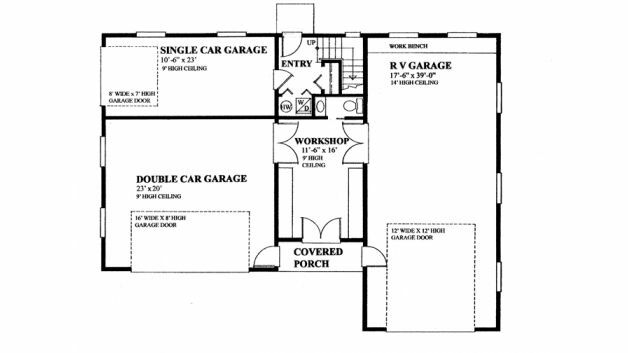 A workshop sits between it and the two garages, one for a single vehicle and the other fitting two cars simultaneously. 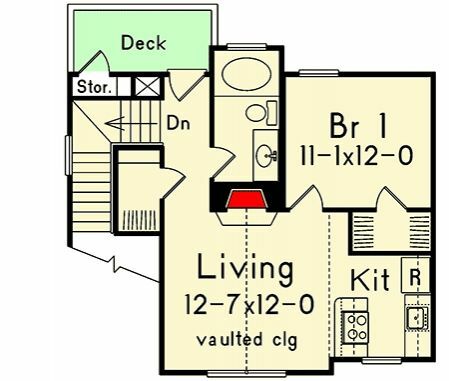 An entryway with a utility closet and toilet sits by the stairs to the first floor. 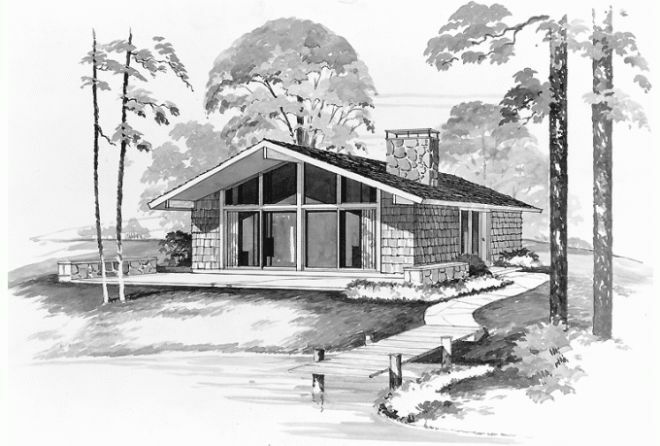 There, an open-plan living, dining, and kitchen area adjoin an office space and another toilet. 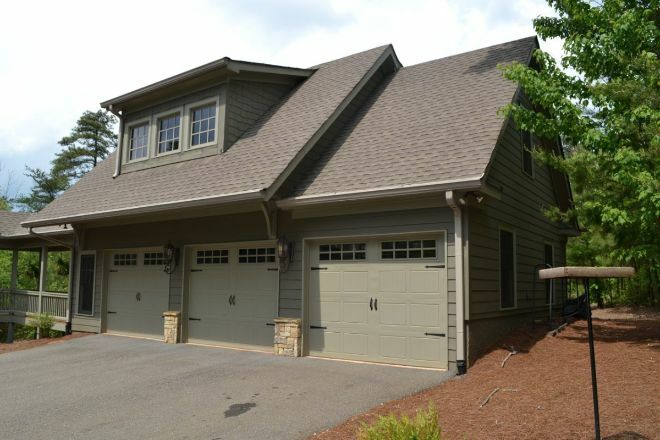 The double bedroom enjoys access to a private bathroom and a built-in closet. 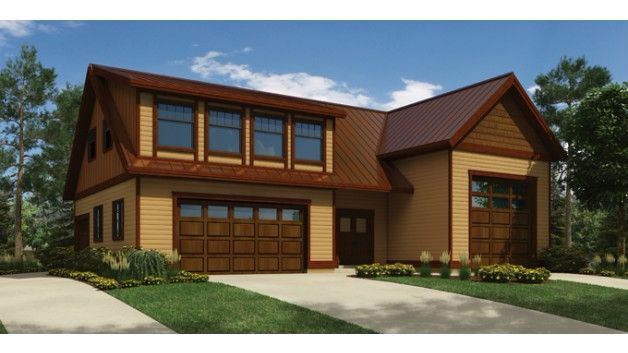 A traditional-style property from Architectural Designs coming in at 632 square feet (59 square meters). 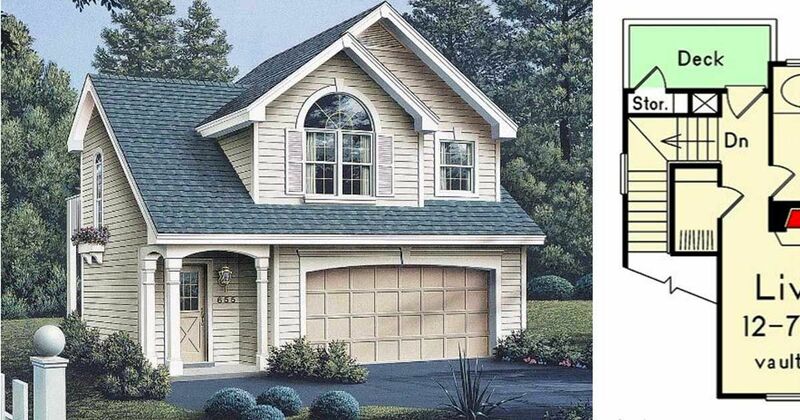 A spacious two-car garage occupies the ground floor, alongside a laundry and utility room, and a small patio. On the first floor, an open-plan living and kitchen area with a vaulted ceiling feels light and airy thanks to large windows. 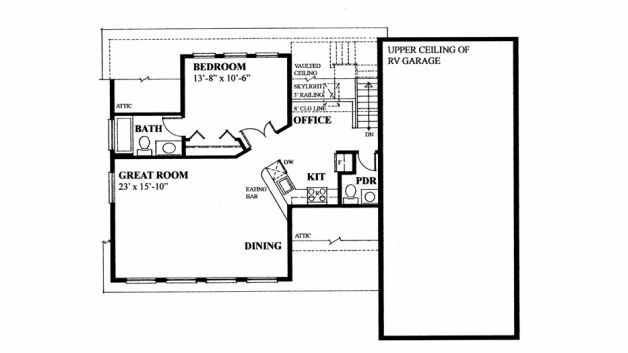 The double bedroom has built-in closets and access to the full bathroom, as well as a sun deck.